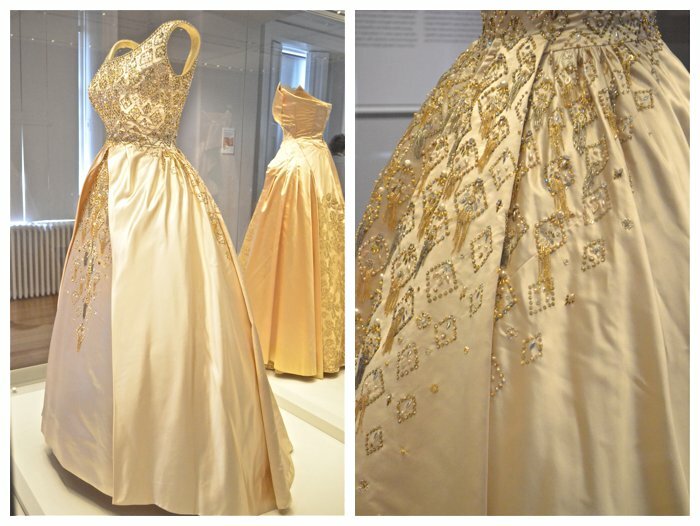 Honestly, I could spend all day staring at dresses that queens and princesses have worn. I basically did just that for an entire afternoon at Kensington Palace, which currently has an exhibit called, "Fashion Rules," featuring the fashion of Princess Diana, Princess Margaret and Queen Elizabeth. I have to admit that I have seen several exhibits of Princess Diana's dresses already -- two at Kensington Palace and one in Kansas City (hello, Royal fashion junkie. Is there a 12 step program for that? 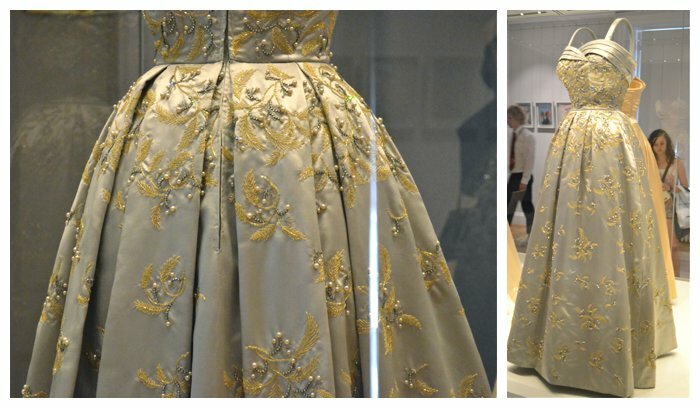 ), but this was the first time that I had the opportunity to see a large number of Queen Elizabeth's and Princess Margaret's dresses. 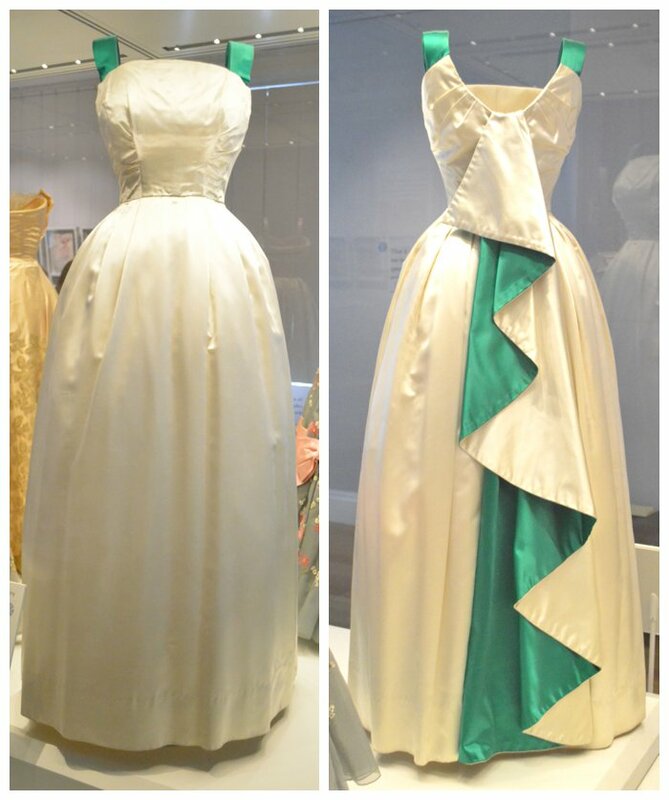 I was most taken with Queen Elizabeth's dresses. Good Lord -- those nipped in waists, that incredibly detailed beading. 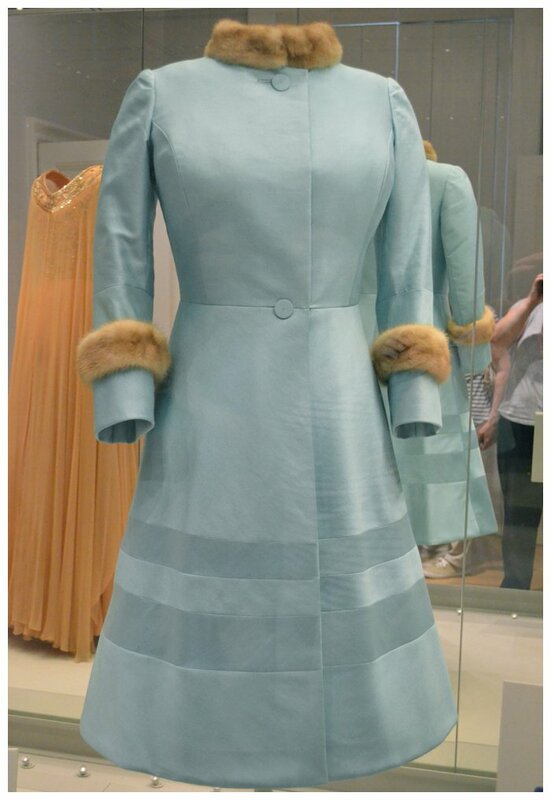 She wore the above dress for the opening of the New Zealand parliament in 1963. 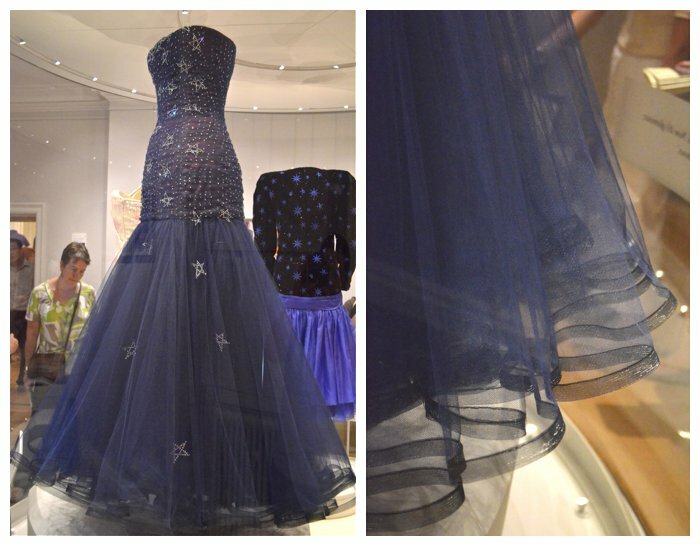 Norman Hartnell designed the dress and created the out-of-control, exquisite beading. 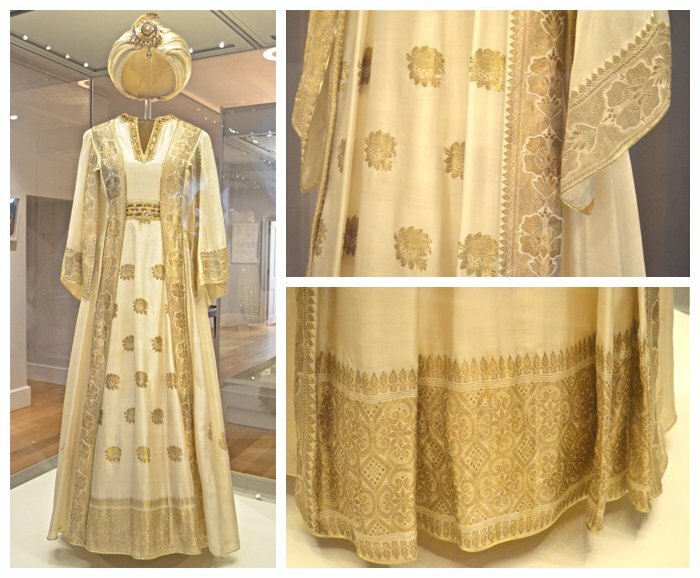 Norman Hartnell also designed the above white and green dress that the Queen wore on a tour of Pakistan. The dress was made in green and white because those were the national colors of Pakistan, and the front of the dress is plain so as to better show the Queen's insignia that she wore across her chest. Notably, Hartnell was the first man in fashion to be knighted. Well, who knew the Queen had a little Jackie O in her? Queen Elizabeth wore the above coat to a celebration of her Silver Wedding Anniversary. I love its timeless cut and shape. The above dress is quintessential, show-stopping Princess Margaret. She was a true fashion icon of her day, taking chances in fashion and wearing it all beautifully. 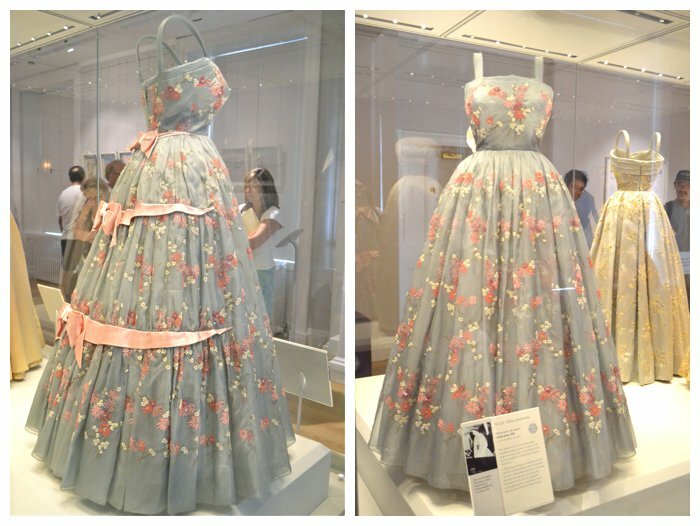 Carl Toms designed this dress, which Princess Margaret famously wore at a party on the island of Mustique. 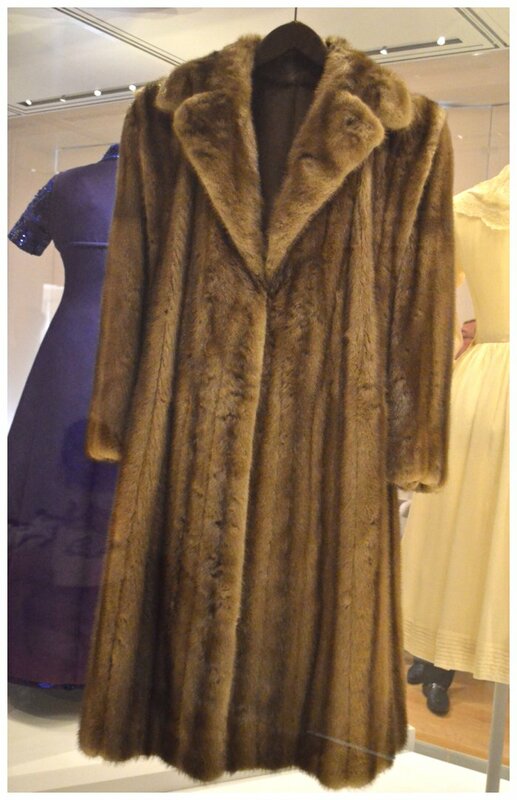 I adore this fur coat designed by Christian Dior for Princess Margaret. It was absolutely sumptuous in person. It reminded me of the short fur coat my father gave to my mother as a Christmas present one year. Inside the coat, my mother's initials are sewn into the lining. When I get married, I plan to have my new initials sewn into the lining as well. 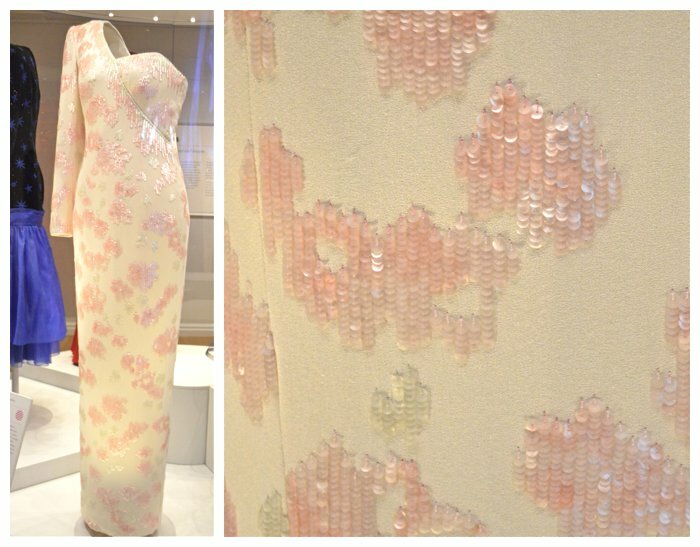 Princess Diana wore the above dress designed by Zandra Rhodes for a royal visit to Japan in 1986. Zandra Rhodes is a fashion cult hero in England, and people such as Philip Treacy and Matthew Williamson apprenticed for her. 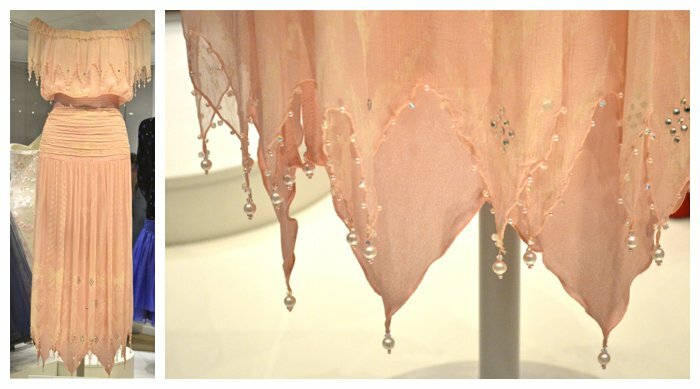 The light pink color of the dress was chosen to echo the pink of the Japanese cherry blossom. One of the things I love about Royal dressing is how deliberate and thoughtful their fashion choices are -- almost always there is a nod to a host country by the choice of fashion designer or by the embellishments and details of the dress. 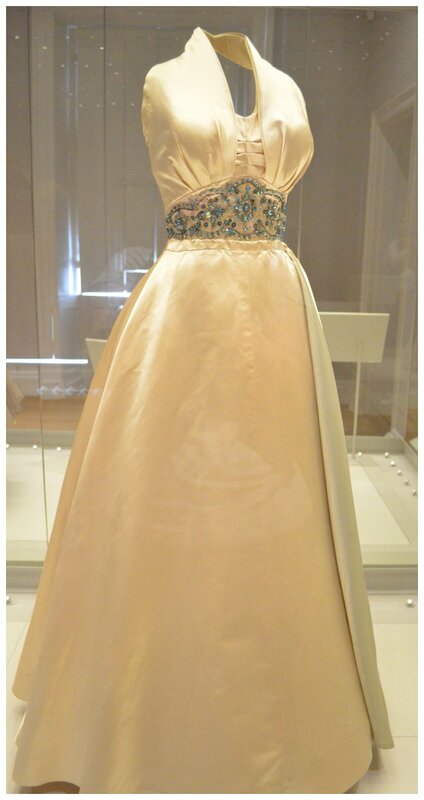 Catherine Walker created the above dress for Princess Diana to wear to a royal visit to Brazil in 1991. Of its design Walker stated, "Shortly before this visit to Brazil, the national football team had lost to Argentina in the World Cup and the country was depressed about this disaster. We received instructions that in view of these circumstances we should not design anything in green, yellow or blue, which were the official colors of the Brazil team, and definitely not in blue and white, which were the colors of the Argentinian football team." My mom would love this. I will have to show here when she gets back from her sorority reunion trip! I literally have been to the exhibit three times. Obsessed with royal dresses! 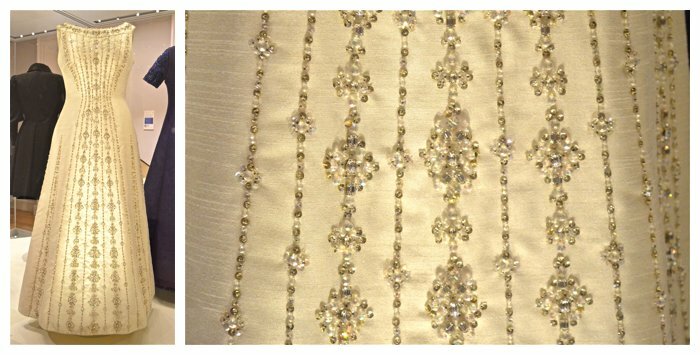 A lot of the beading on Queen Elizabeth's dresses is called "tambour beading." And guess who took a little class at Kensington Palace to learn how to do it? This girl! I'm posting about it later this week. Where is your mom on her sorority reunion trip? Hugs! My nan Norma makes/made dresses and she made the green one but noman hortnell was her boss and designed all the the dress that she had to hand soe!